Despite your best efforts at cleanliness, your carpet will eventually become the victim of drops, spills, accidents, and whatever's on the bottom of your shoes. Dab stains with a cleaning solution and a clean cloth, paper towels, or a sponge. Blotting puts a small amount of pressure on the stain to soak it up. Rubbing causes the particles to get ground into the carpet fibers which leads to the premature breakdown of those fibers. Always blot from the outside of the stain inward, as blotting outward can spread the stain. You may have heard that club soda is effective against beer and wine stains. It's true - if you use it correctly. Blot the area with the soda on a cloth. If that doesn't work, mix one part white vinegar with one part water and pour it into a handheld sprayer. Spray the solution on the entire stained area and let it sit for 10 to 15 minutes to soak in. Then press a clean sponge onto the area to soak up the solution and the stain.You may have to repeat this process to eradicate the stain. Apply the shaving cream directly to the stain and let it set for about 30 minutes. Once the shaving cream has set, blot it away with a dry white cloth. Finish by spraying the area with one part vinegar mixed with one part water and then wiping away the solution with a cloth. You step in chewing gum out on the street but don't realize it until you tracked that gross, sticky mess onto your carpet. To get it out, head to the freezer and grab a couple of ice cubes. Freeze the gum with ice cubes for about 30 seconds. Once the gum is frozen solid, use a spoon to lift up the glob and cut the strands of carpet as close to the gum as possible. If you cut only a small amount of carpet, the spot shouldn't be noticeable. The best method against difficult-to-clean grease stains is to use a drop or two of a grease-cutting dishwashing detergent, such as Dawn, in a cup of water. It'll cut through the grease in the carpet just the way it does on your dishes. Put the solution in a spray bottle and spray it on the stain, then blot it up. You may need to do this multiple times for larger stains. Few carpet stains are as obvious as blood. Hydrogen peroxide will get out blood. First, loosen up dried blood with water mixed with a mild detergent. Then scrape off as much blood from the fibers as you can. To get the remainder, apply hydrogen peroxide directly to the stain. The solution will immediately foam when it contacts the blood. Then dab the hydrogen peroxide with towels to dry the carpet. White vinegar is a great weapon for fighting carpet stains, but adding a little baking soda can take it to another level. Soak the stain with vinegar, then sprinkle a little bit of baking soda. The order is important here; pour vinegar on a pile of baking soda, and you have the makings of a carpet volcano. Once you have a bubbling mound of baking soda on the floor, just wait a few moments for it to absorb the stain, then wipe and vacuum it up. Try this mixture to clean up pet urine, but it should work on a variety of stains. Cleaning the carpet is essential to keeping it looking fresh and new. Steam cleaning involves using a cleaning solution under pressure injected deep into the carpet via water-jet nozzles. Then the machine extracts the solution along with the dirt and debris in the carpet. 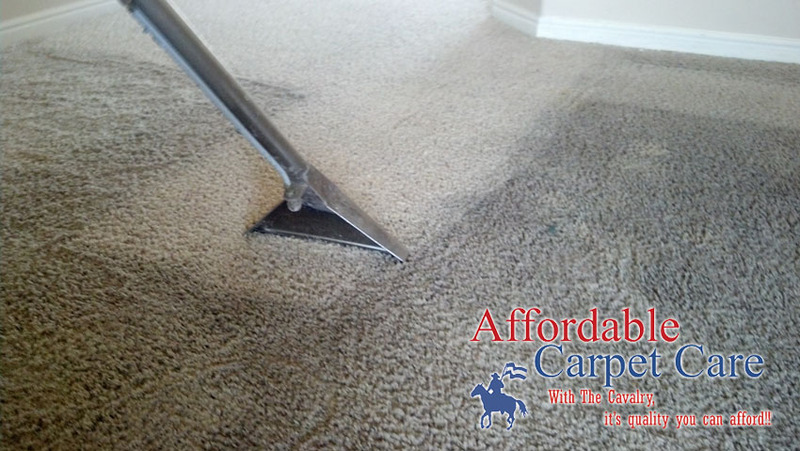 The water will penetrate the fiber all the way down to the backing and loosen any embedded soil, remove oil and grease deposits, and get your carpet cleaner than it has ever been. You should get deep cleaning every six months for a family of four. Cleaning your carpet properly is easier than you think. All it takes is a little knowledge about how to select the right carpet cleaning products and the right way to clean your carpet. Call us for a FREE ESTIMATE @ (435) 656-2300!